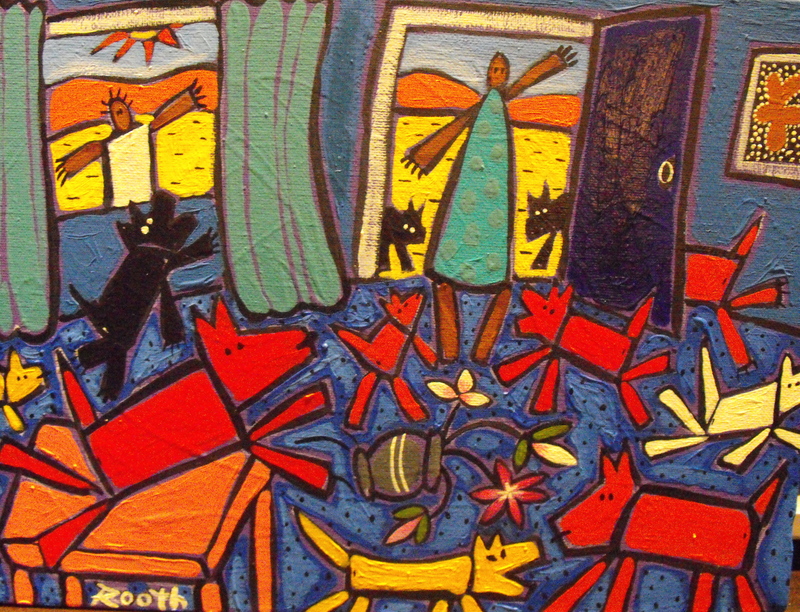 Ruth Robertson « Central Australian Art Society Inc.
My name is Rooth (Ruth Robertson ) I have been an artist for over 40 years. 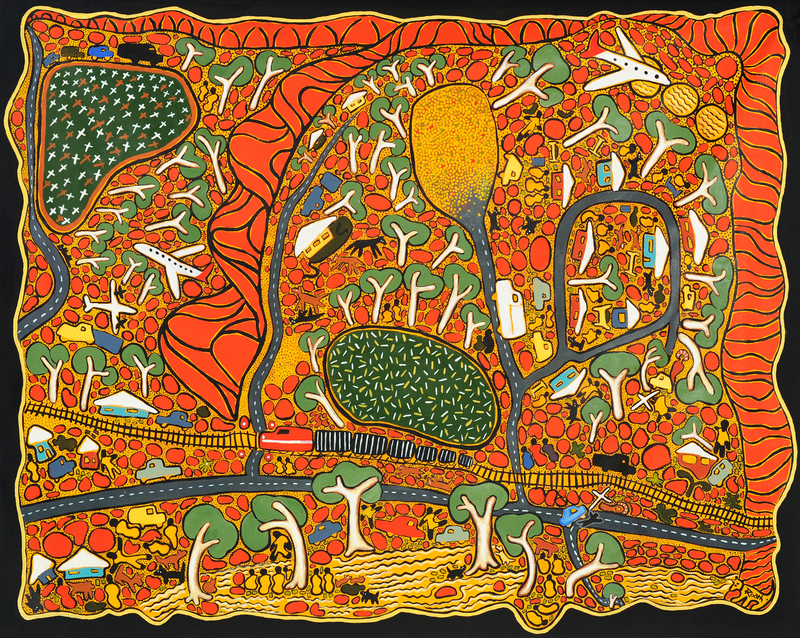 I have lived in the Northern Territory for approximately 6 years, with 3 years in Alice. 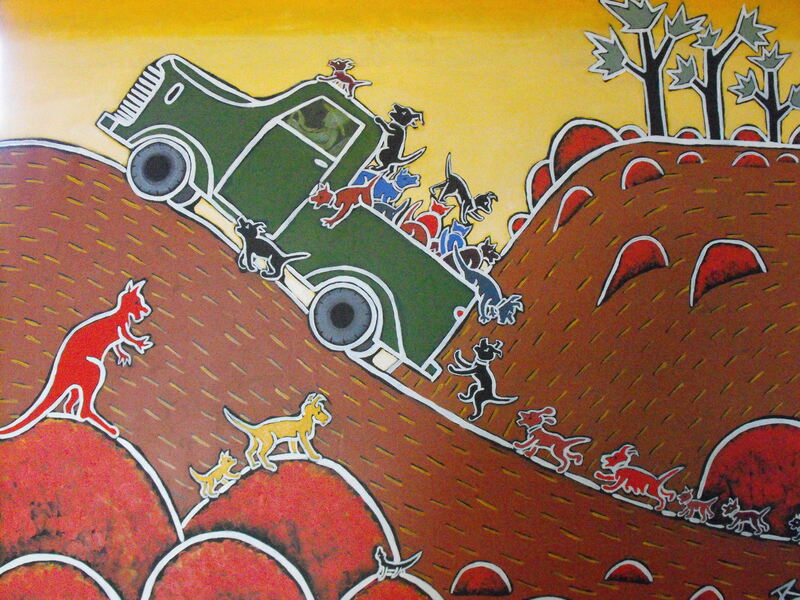 I love to paint my stories about living in Alice, its people and the wonderful colours of the central desert. Because I am of aboriginal descent I live in two worlds and express my experiences from that viewpoint. When is the next time Rooth is going to be at the Sunday Markets in Alice Springs? I saw a painting about Cheeky Dogs hiding from the ranger awhile back, but I missed out on buying it. Thanks. Both Rooth & I have emailed you Craig but the messages seem to go to your Junk Folder. 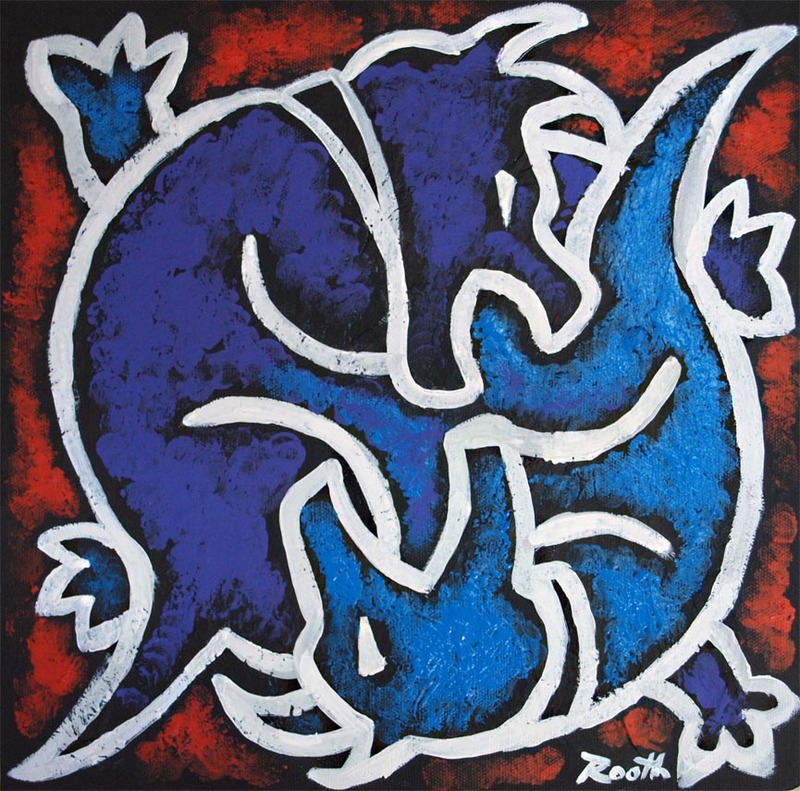 June, you can contact Rooth via our sponsor Leaping Lizards Gallery in Alice where she regularly displays her work. Phone (08) 8952 5021. I absolutely LOVE your work.I wish I could afford an original.On that note do you have any work that has been put into numbered prints?I have been unable to find any in the USA,and I would be so interested in purchasing if available. Again very lovely work. Carolyn, send me an email (See the ‘Contact Us’ page TAB. I will forward your email to Rooth. 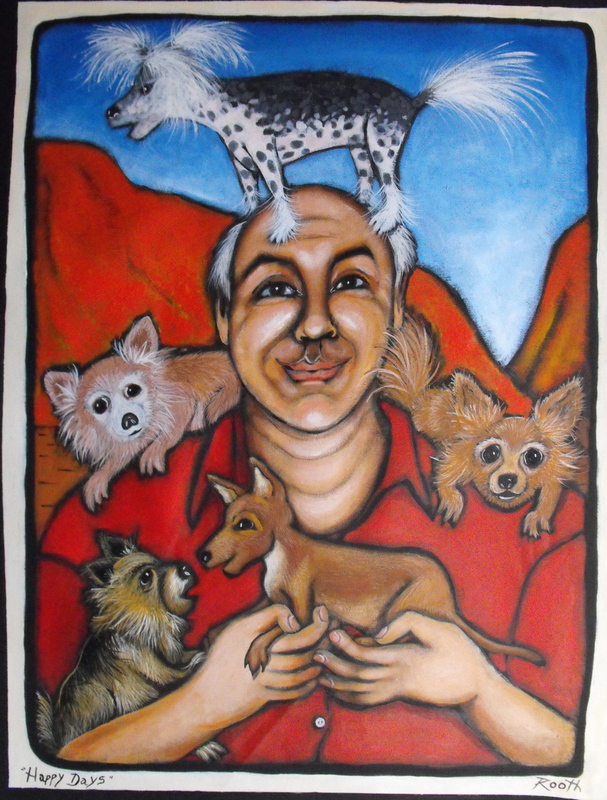 Hi I used to live in Alice and bought a cheeky dogs canvas some years ago. Any possibility I can purchase another ? I love Sturt pea and Uluru that you had also. I love Rooth work as well. I would of loved to be able to afford original of The Ghan. I was sad I didn’t when left Alice! I would love to see a picture of it on the web. 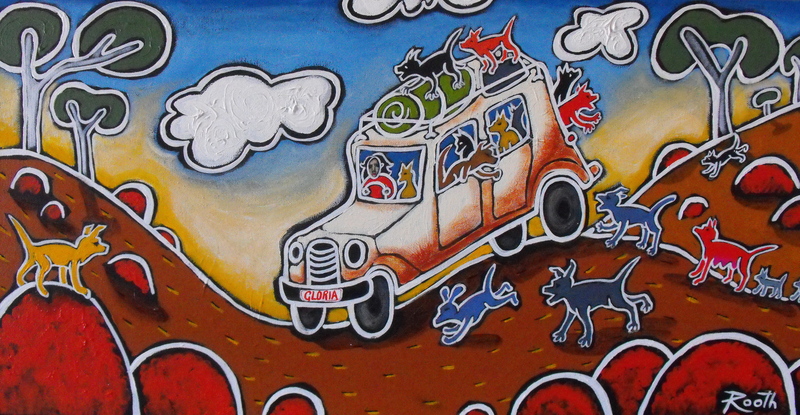 Has Rooth done any other painting with The Ghan theme? John & Angie I have written on Ruth’s FB page asking here to check here. But you might do the same. A simple search “Rooth Robertson” will find her.